New Wave Outpost Forum • View topic - Which New Wave artists have aged badly in your opinion? Which New Wave artists have aged badly in your opinion? I mentioned Bernard Sumner on the other thread. He started aging suddenly, since the 2nd Electronic album. Mike Score also. He lost all his hair, and he put on like 100 pounds. And honorable mention to Mike Reno, from Loverboy (if we consider their debut, a New Wave album) when it comes on gaining weight. Re: Which New Wave artists have aged badly in your opinion? Depeche Mode's looking their age. Sorry , but I can't partake in this one. I try like hell to stay in shape but compared to my 25 year old self?? "Like hell" is an apt term. Aging gracefully (both visually and musically) is tough to pull off for our heroes ----if they can just avoid turning into total jerks, god bless them. They had the right 'image' and 'sound' when we needed them to! 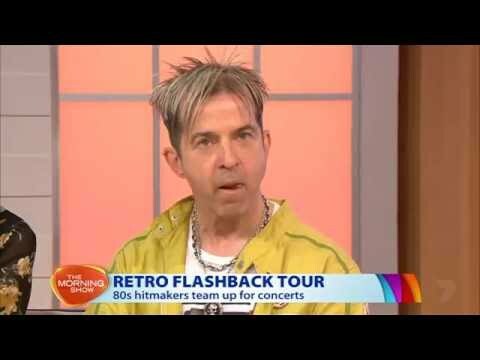 Limahl is a good example of aging well. He is almost 60. Morrissey's not necessarily fat, but he's definitely gained weight. He used to be so thin and he looked like the naturally thin type who would never gain weight. Alas. OK, maybe The Smiths/Morrissey isn't quite New Wave, but sloe enough. I remember seeing Billy Idol on VH1 years ago and he looked terrible. Not really because of weight gain, but let's just say that those drugs took their toll. I met Billy Idol three years ago when he was around 59 and he looked amazing.